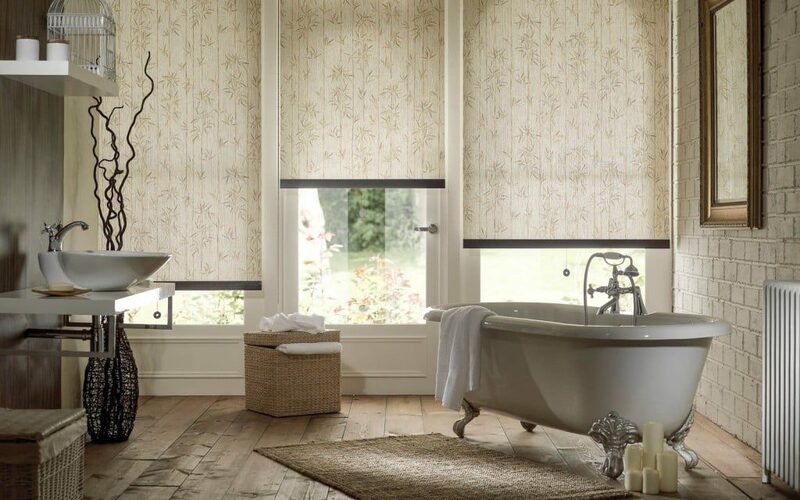 What are the Best Bathroom Blinds? Bathrooms gets the most moisture from steam and splashing to condensation on the mirrors and windows. This moisture can cause potential damage to some types of window dressings. 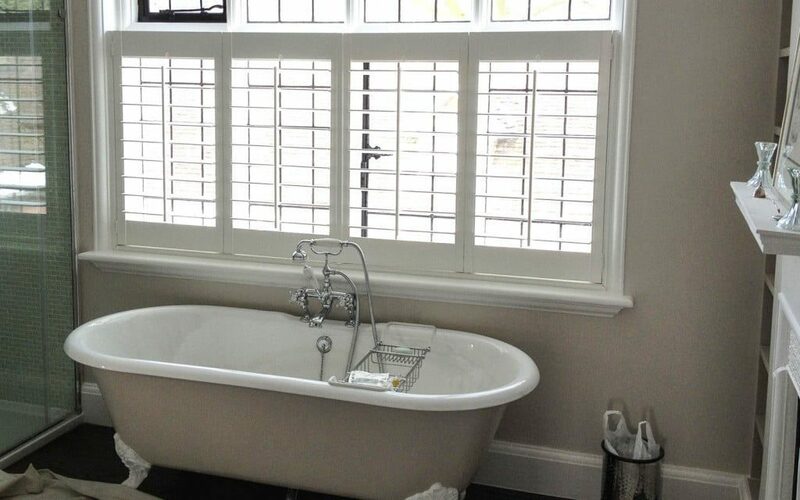 Many people will be surprised to see Shutters on this list, however there are two shutter ranges which are designed specifically for bathrooms. The Surrey Shutter is an extremely well priced Poly Vinyl shutter. It is available in 3 louvre widths and 3 colours. However, if you need the colour to match with other shutters in your home, there is also the Herm shutter which is available in 5 louvre widths and 6 colours. 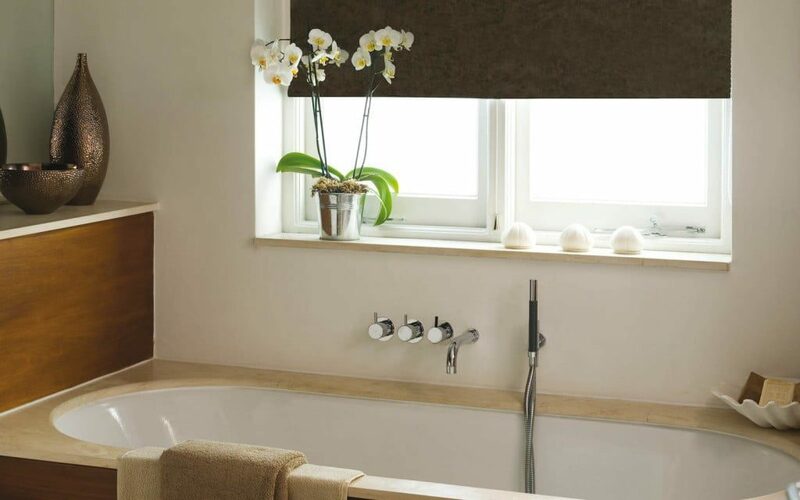 Roller blinds are often used in bathrooms. The fabrics they are made from can be treated to make them as water resistant as possible. There is a huge selection ranging from moisture resistant to fully waterproof fabrics, in both plain colours and patterned. As well as the fabrics it is very important that the roller blind tube, brackets and mechanism are also moisture resistant. All the roller blinds we supply have aluminium tubes, Powder coated metal brackets and nylon mechanisms which can withstand even the wettest of settings. 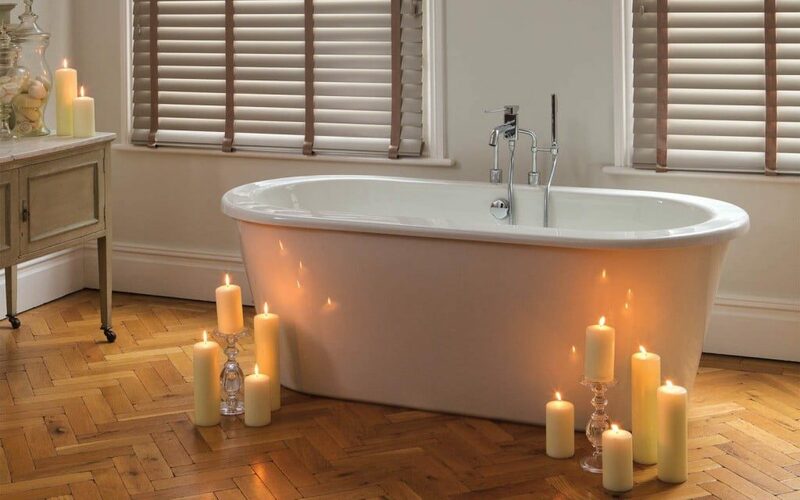 If you love Wood Venetian Blinds, then a Faux Wood Venetian Blind is a fantastic option. These Poly Vinyl blinds will not warp or twist in moist conditions, unlike traditional wood venetian blinds. Faux Wood Venetian Blinds are available in a number of different colour options as well as 2 slat widths 38mm and 50mm.